Were you or a loved one exposed to asbestos at the Weyerhaeuser plant in Marshfield, Wisconsin? Find out how our Mesothelioma lawyers can help you with your claim. 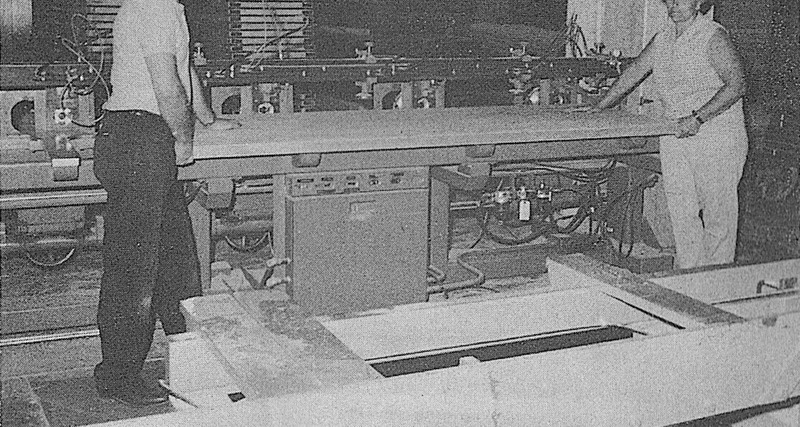 Weyerhaeuser’s plant in Marshfield, Wisconsin (formerly known as Roddis Plywood) has been linked to numerous cases of Mesothelioma here in north-central Wisconsin. Asbestos at Weyerhaeuser was used in the manufacturing of fire-proof doors, as well as for insulating purposes around the facility. A number of our clients with mesothelioma were exposed to asbestos at Weyerhaeuser while working on the manufacturing of fire-proof doors. The doors had interior cores that contained asbestos. Exposure may have occurred in a variety of ways, from handling the materials, to cutting holes in the doors for windows and hardware, sending the asbestos fibers airborne. These fibers may have then been carried home on the clothing of the workers, exposing their families to the same deadly asbestos fibers. This is known as second-hand exposure. Like most manufacturing facilities of that era, the boiler room likely was another place workers were exposed to asbestos at Weyerhaeuser. Boilers are built to withstand extremely high temperatures. To accomplish this, boiler manufacturers often turned to asbestos as a solution. Employees who worked with boilers in the 1950s, ’60s and ’70s recall that many of the components of the boilers – such as insulation on pipes, firebrick, furnace cement and gaskets – contained asbestos. Not only did boiler room workers handle asbestos products on a daily basis, but in the course of their jobs, they often crushed or crumbled the products to release the fibers into the air. Asbestos, a naturally-occurring mineral, boasts excellent fire and heat resistant properties. Asbestos exposure is now known to cause mesothelioma. This asbestos-related cancer can occur when asbestos is inhaled and the microscopic fibers become lodged within the outer lung tissue layer. Usually, mesothelioma shows up 20-50 years after the asbestos exposure occurred. Our mesothelioma attorneys have represented a number of former employees of Weyerhaeuser in their claims against the manufacturers of the asbestos products that were used at the Weyerhaeuser door plant in Marshfield. Asbestos at Weyerhaeuser: Were you or a loved one exposed? If you or a family member were exposed to asbestos at Weyerhaeuser and developed an asbestos-related illness such as mesothelioma, you may be entitled to compensation. If you have been diagnosed with mesothelioma, or if you have lost a loved one to mesothelioma, and you believe it is related to asbestos at Weyerhaeuser, our Wisconsin mesothelioma attorneys can advise you as to your rights. We have represented individuals from Marshfield, Wisconsin Rapids, Wausau, Mosinee, and all of northcentral Wisconsin. Call 715.843.6700 for more information about our Wisconsin mesothelioma attorneys or to speak with one of our mesothelioma attorneys. There is no fee unless you collect a settlement.